Dedicated to extending the reputation of Hungarian wines and European wines. We will try our best to match or beat any price. European wine under strict quality controls are produced in their own specific geographic boundaries. Such careful procedures impart personality, breed and character into these wines. Wines from Hungary are no exception to this traditional rule. "VILÁGHÍRÚ', ZAMATOS, MAGYAR FÖLDBEN TERMELT MAGYAR BOROK"
These famous Hungarian wines are "Tokaji Aszú" and "Tokaji Eszenzia". Tokaji fine wines have been known for centuries as "The king of wines, and the wine of kings". The higher the number of "puttony", a late-harvested honey-sweet aszú grape, the higher the Tokayji wines' quality. 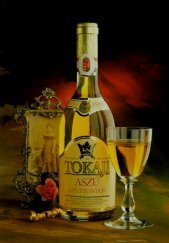 Other quality Tokaji wines are Tokaji Szamorodni which are found in sweet, semi-dry or dry. High quality Hungarian red wines come from Eger, Szekszárd, and Pécs districts of Hungary. Villányi Burgundi and Villányi Oportó. Badacsonyi Rizling, Badacsonyi Szürkebarát and Badacsonyi Kéknyelû are wines from the slopes of the Mátra Mountains. These wine also include the Hungarian Rizling. These wines are also very popular by any standard..
THESES WINES ARE HIGHLY SUGGESTED FOR ANY SPECIAL OCCASION! The prestigious wines of Tokaji, Hungary are some of the worlds greatest wines. The Tokaji reputation dates to the 1600s. These wines are rich and nutty, without the cloying character of many other dessert wines. These fine dessert wines are produced by adding selected grapes affected by the concentrated juices of the grape. The sweetness is designated as 3, 4, 5, or 6, with 6 "puttonyos" being the sweetest. Otto's has the largest selection of Hungarian wine outside of Hungary. This fine wine goes well after dinner, or with desserts or fruits. Tokay Enszenzia or Essencia is the finest Tokaji Aszu made. This private reserve is made for those very special occasions. Tokaji Eszencia is the highest quality wine made in Hungary. Eszenzia price varies by vintage and year. Please let us know before your order. Buy a case of 12 of the same wine and receive a 5% discount. Dedicated to extending the reputation of Hungarian wines and of Europe. TOKAJI MUSCAT - Tokaji Sárga "Mustkotáy"
Semi-Dry quality white wine from Hungary. One of our best selling wines. Great for any dinner. A soft Hungarian, delightful wine, with an excellent fruit flavor and lovely aroma. Made from Hungarian Muskotály grapes. A soft Hungarian, delightful wine, with an excellent fruit flavor and lovely aroma. This wine is shipped to the USA with pride from the Vinarium wineries. Harvested following the tradition after Hungarys Simons day, November 8-9, 1991 The wine is first matured in Göncz barrels, followed by bottled-maturing. The wine is then stored in Joseph Archdukes cellar of the Lauder-Lang Winery in Mád-Tokaj, Hungary. It is then shipped to the USA. A quality red wine from Hungary. During the last days of autumn, the grapes for this wine are picked from selected ripe bunches. The wine is matured in oak barrels, followed by bottled maturing. This wine is a blend of Cabernet Sauvignon and Cabernet Franc. It has an elegant aroma with a complex and firm mouth feel, with a texture of taste which is solid and spicy. Serve chilled. Another quality red wine from Hungary. Picked from selected ripe merlot style bunches of grapes during the last days of autumn. It is matured in oak barrels, followed by bottled maturing. Serve chilled. "BULLS BLOOD" OF EGER - "EGRI BIKAVÉR"
One of the most famous wines from Hungary. Bulls blood is a very unique dark red wine. Best served at room temperature with red meats, game, casseroles or cheese. A quality white wine. Produced by Lauder Láng vineyard of Eger, Hungary. Leányka is an traditional Hungarian grape with a slight acidity and subtle flavors. Leányka offers a dry and faint fruity finish. Made of the elegant Furmint grape variety which grows in the Somló region of Hungary. It grows under ideal volcanic soil conditions. A white wine, with a full-body, unique, and subtle fragrance. A very crisp and clear white wine. $ 13.50 for each bottle! 12 Bottles in a case. A soft Hungarian, delightful wine, with an excellent fruit flavor and lovely aroma. Made from Ottnel and Muskotály grapes. A soft Hungarian, delightful wine, with an excellent fruit flavor and lovely aroma. One of our best everyday Hungarian table wine. Vinum Regum - A famous dry white wine made from the Hungarian furmint grapes. Harvested and aged to perfection. Hungary has been producing great wines for many centuries. This Hungarian chardonnay has a light lemony aroma with a dry, medium, body and balance. The wine provides a good accompaniment to many foods including Hors Doeuvres, Fish, White Meats or Mild Cheeses. Serve lightly chilled. 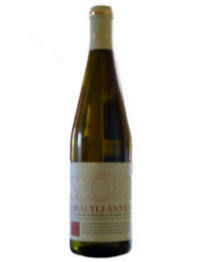 Made from the special Hungarian Muscat grapes, this is a fine quality semi-sweet white wine. undreds of years ago, when the Romans first set their eyes on the volcanic mountainside of Badacsony, near the great shores of the Balaton, they could easily fore see the regoins potential for producing great tasting wine. The Romans and many others enjoyed the unprecedented flavor the volcanic surroundings and bright sunny mountainsides the region could produce. Both Attila the Hun and the Romans both shared a passion for Hungarian wines in this area. Since those historcial times, Hungarians have pursued a passion for producing quality wines. Made from the special selected Pinot Noir grapes. A fine quality dry Hungarian red wine. Within the wide community of variety wines produced with chardonnay grapes, this version represents an elegant style of medium body, straight and raspy aroma, vivid acidity, and no wood influence. The grapes are entirely grown on the szekszárdi region of Hungary. The vineyards management is quality oriented. A Dry White Wine from Hungary. Wine makers from all over the world value the variety of Hungarian Merlot grapes for their great smooth wines. This particular wine is light to medium bodied, with a fresh fruit and pleasant finish. It may be served young, either at room temperature or slightly chilled. It will accompany any reasonably full flavored dish. Fine warm summers in Hungary ripen the cabernet sauvignon grapes, from which this wine is made. The wine is a medium, full-bodied drink, with a great fruit flavor. It needs no aging and will accompany red meats and other full flavored dishes. Served at room temperature. A Hungarian White Wine from the Badacson vineyards of Hungary. One of the most famous wines from Hungary. Bulls blood is a very unique dark red wine. Best served at room temperature with red meats, game, casseroles or cheese. [ ] 750 ml. $ 12.95 ea. [ ] 750 ml. $ 15.75 ea. The wines of Tokaj were treasured by European nobles, kings such as Loius XIVand Empresses such as Maria Theresa and great artist such as Voltaire. This fine wine is Semi-sweet with a late harvest. It is estate bottled by Lengyel Illes. 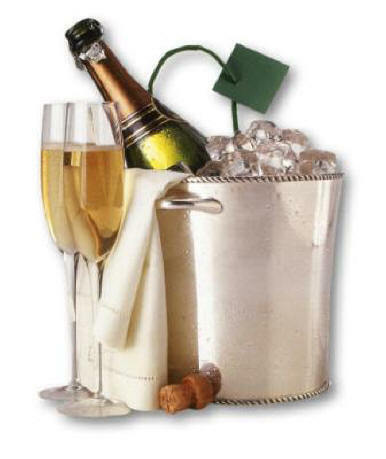 Centuries later, the wine is believed to enchant ladies with their royal aromas. Today only three varieties of grapes are authorized for the product of Tokay wines: Furmint is one of these special grapes. The wines Juhfark (Sheep's Tail), often referred to as the "manly wine" from the results of the wines full-heartlyed taste with a distinctive rich and character. Historically, drinking Juhfark's (Sheep's Tail) on the night on a honeymoon would ensure the conception of a strong and capable male heir for the new couple's family. This wine was commonly found near the side of many infamous rulers in the reign of the Habsburg Dynasty. The historical flavor is rarely found even among the finest wines today. Combined with Juhfark's (Sheep's Tail) balanced and harmonious taste, this wine creates an experience that can be unparrelled by no other wine. Rare Premier White Wine, with special wax top seal. Semi-sweet late harvest Hungarian wine. Estate bottled. A Quality Hungarian Light White Wine which originates in the select area of Csopak, Hungary. Balatonfüredi Rizling has classic German Riesling characteristics with a distinctive bouquet, full-bodied flavor, and pleasant, soft, lemony finish. Otto's pre-selected 12 different Quality Hungarian Wines from several different regions of Hungary for the perfect gift or to allow you to sample the great Red and White wines from Hungary. Perfect for a wine tasting, gift, party or dinner! Shipped in a special 12 carton Styrofoam container. It's almost like buying 6 wines and getting 6 FREE! This is our most popular special! The Transylvanian regions of Hungary and Romania... Otto's has nicknamed these our Dracula Wine Collection. These wines present high quality, yet affordable wines from various wine growing regions. Riesling is a dry white table wine that goes well with fish and poultry. Mild, soft acid, resembling almonds in great bouquet. Merlot is a dry, red wine exhibiting aromas of plums and blackberries. It is well suite to chicken and pork. Wines produced by Merlot are very colorful and mild. Suitable for placing in cellars. An elegant white wine that goes well with various dishes, especially seafood and cheeses. Alba Iulia-Aiud is to the west of the vineyard of Târnave. The wines' name come from the hillsides of Mures. These great vines produce Italian Riesling and Feteasca Alba, which distinguish themselves by their great bouquet. RHEINHESSEN, Germany - Just what the doctor ordered. This imported German wine has a beautiful color and full bodied flavor. This white wine is enjoyed by many across Europe. A mellow, fruity red wine, made with the noble kadarka grape traditional to Hungary. Best served at room temperature with red meats, game, casseroles or cheeses. A very popular semi-sweet quality red wine from the Szekszárdi region of Hungary. semi-sweet, high quality red wine. Sit down and enjoy a bottle and taste some of Hungarian history. This Hungarian Riesling is one of the most important and best-known white wine grapes throughout Hungary’s historic wine regions. It is a yellow-green wine with fresh fine fragrance and an aftertaste that is reminiscent of bitter almond and green apple, with acids in complete harmony. Cabernet Sauvignon is the king of the red wines. Its color is deep red, and it has a rich, full-bodied, complex characteristic profile with hints of spicy fragrance. 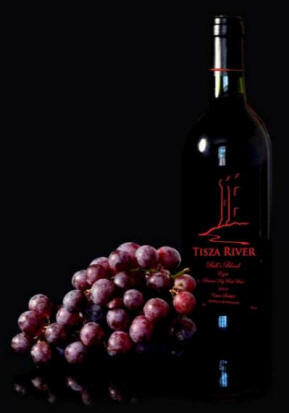 Tisza River Cabernet Sauvignon tastes true to the grape, un-engineered, and natural. Juhfark is a very special and rare variety Hungarian grape. Jufark in Hungarian literally means sheep's tail and refers to the elongated, cylindrical shape of these special grape clusters. This grape is exclusively planted in Hungary for a perfect wine. The grapes are prominently located in the tiny wine region of Somló, Hungary. Near the largest lake in Europe, the Balaton Lake region in Hungary St. Donatus produces some of the finest wines in Hungary. St. Donatus Balatonlelle wines are an excellent Hungarian wines and great for any occasion. Many of these wines are served in Hungarian restaurants in the United States, Canada and Hungary. Otto's carry these fine wines from St. Donatus. "Lellei" is short for Balatonlelle, a special region around Lake Balaton, Hungary. St. Donatus Hungarian Wines: Purchase a case of the same vintage and save 5%. The finest champagne (pezsgõ) available from Hungary. The finest champagne (pezsgõ) available from Hungary. Several different types. Chateau Vincent Crystal Sparkling wine. A Sparkling wine paired with both Chardonnay and Riesling base in Hungary. Product of Hungary $28.75 ea. One bottle of each vintage or mix and match. TORLEY: THE BEST Pezsgõ (CHAMPAGNE) FROM HUNGARY! From the famous Tokaji region of Hungary. [ ] Eszterbauer, HUNGARIAN ROSÉ "Öröm"
One of Hungary's best and famous wines!